The Green Homes Cashback scheme has now been discontinued by the government. A similar scheme called HEEPS: Cashback launched on 13th April 2015. Green Deal Home Improvement Fund Scotland replaced by HEEPS. Claim up to £5,800 through the Scottish Government’s HEEPS: Cashback scheme. Additional premiums are available to properties that are classified as being in a remote rural area of Scotland. 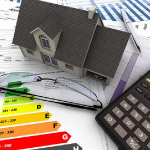 The Scottish Government is offering owner occupiers, private and social tenants and registered private sector landlords a rebate towards installing eligible energy efficiency measures for properties that are in council tax bands A to C. The measures must be recommended in a pre-install Green Deal Advice Report for the property. Funding is divided into categories with up to £500 available for installing a new boiler, up to £400 for insulation measures and up to £300 for other measures like draught proofing or secondary glazing. For installations of solid wall insulation 75% of the total cost of the work, up to £4,500 is also available. Additional premiums are also available to households which are classified as living in a remote rural area of Scotland. Applicants who install at least one eligible measure and claim funding through the scheme are also entitled to a maximum of £100 towards the cost of their Green Deal Advice Report. The scheme is available on a first come, first served basis and is subject to available funding. Before applying for a voucher all householders can contact ATC on 0800 6906909 to be referred for the scheme. After assessing your eligibility for the scheme and checking to see if there are any additional sources of funding available, they will provide a unique referral number which can be used to complete the application form. If you have received your referral number from Home Energy Scotland you can apply for a voucher now using the link at the bottom of this page. You can also apply for an interest free loan which can be combined with the HEEPS: Cashback scheme to help with the costs of your work. 1. Call ATC on 0800 6906909. We can advise on all sources of funding you could benefit from and create a referral for the scheme. 2. Once you have received an email with your unique referral number, you can apply for your funding. 3. Your rebate voucher should be sent to you within five working days. You will be notified if there are further checks required. 4. When you have received your voucher you can contact a Green Deal assessor to get a Green Deal Advice Report carried out at your property (if you do not have one already). 5. 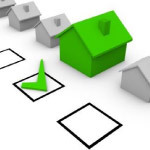 Once this has been done check that the measures you applied for as listed on your voucher are recommended on the EPC portion of your Green Deal Advice Report. If your chosen measure(s) is not recommended please call the Services Delivery team on 0800 6906909. 6. You can now arrange to start work on your installation. Your chosen installer must be Green Deal certified. 7. After the work has been completed arrange for a post installation EPC to be done at your property. This may automatically happen if you are also taking out Green Deal finance. 8. Claim your rebate by submitting your completed voucher before the voucher expiry date along with invoices for the work. We aim to process complete claims within ten working days. Incomplete claims will take longer. Why do I need to have a Green Deal Advice Report carried out before I install any measures? You must have a Green Deal Advice Report (GDAR) carried out so that you can confirm the measures you wish to install are recommended for your property. The list of measures recommended for your property can be found under ‘recommendations for improvement’ on the EPC section of your GDAR. What do I do if the measure(s) I have applied for (or plan to apply for) is not recommended on the EPC portion of my GDAR? If your GDAR does not recommended a measure that you wish to install you must call the Services Delivery team on 0800 6906909. Why do the Energy Saving Trust insist that an EPC is completed after works? Completing a new EPC after the installation verifies that this work is complete because the measure you have installed should no longer appear as a recommendation. Do I have to install a measure or can I just claim the £100 for the assessment? You need to install a measure in order to be eligible to claim the rebate for your assessment. You cannot claim for the cost of your assessment only. Can you apply for a Cashback voucher for cavity wall insulation and loft insulation only or does this have to be combined with another measure? Yes – you can apply for a voucher for cavity wall insulation and/or loft insulation only. To what extent can installers promote the scheme and offer to apply on behalf of a customer? Installers can promote the scheme however they cannot apply on behalf of a customer. I want to install a new boiler, what support is available to me through the HEEPS: Cashback scheme? You can apply to the HEEPS: Cashback scheme for up to £500 towards the cost of installing a new boiler as long as it is recommended in your pre-install Green Deal Advice Report under the “Recommendations for improvement” list, which appears on the Energy Performance Certificate portion of the report. You cannot combine a claim for a boiler with a claim for heating controls. Can the grant be combined with other funding e.g. ECO? You cannot combine funding under the HEEPS: Cashback scheme with ECO, HEEPS:ABS or any other local or central government energy efficiency grant. If you are unsure if you are eligible to receive funding under these grant schemes please phone 0800 6906909. Can this grant be combined with Green Deal finance? Yes, you can combine a rebate voucher with Green Deal finance. Can this grant be combined with a HEEPS: Loan? Yes, you can combine a rebate voucher with a HEEPS: Loan, subject to you meeting the terms and conditions of both schemes. Can I use any installer to carry out the work? No, you must use a Green Deal certified installer. Could I install the measure myself and present receipts to claim the funds? 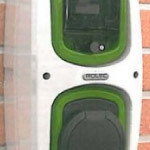 You can claim for certain measures that you have installed yourself, instead of using a Green Deal certified installer. The measures that are eligible for self-install are loft insulation, hot water tank insulation, and draught proofing. The rebate would be for the costs of the materials only. Whilst you can choose to self-install these measures, if you do choose to use an installer they must be Green Deal certified. What happens if I have been issued a Green Homes Cashback scheme voucher but not installed any measures? If you have been issued a voucher which is still within its expiry date but have not started any work, you can either continue to use the existing Green Homes Cashback voucher or you can apply to the HEEPS: Cashback scheme, assuming you meet the criteria. You cannot apply to the new scheme if you have already started work on the installation. I received a rebate under the Green Homes Cashback scheme. Can I apply for the HEEPS: Cashback scheme? If you have claimed funds in the past under the Green Homes Cashback scheme you may not be eligible to apply to this scheme. If you are interested in applying you can check your eligibility by calling 0800 6906909. I understand that my installer must be Green Deal certified, but what other guarantees should I look for when finding an installer? It is recommended that your installation is protected by your installer or provider’s guarantee. This protection can take the form of either insurance backed guarantees, or membership of an industry sponsored scheme. Companies who are registered with an insurance backed guarantee provider may be able to protect guarantees for measures eligible under this scheme, for instance cavity wall or solid wall insulation. It is recommended that you ask your installer/provider what type of cover you will receive as a part of their consumer protection proposition. When will the scheme close? Why is the scheme only available to council tax bands A to C? 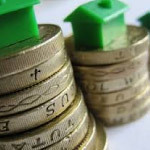 The scheme is designed to ensure that funds are targeted to those most in need of help, and figures show that households in properties with lower council tax bands are in general more likely to be in fuel poverty, (than those in higher bands). There is an interest free loan that is available in Scotland (subject to a credit check) which offers support to owner occupiers, private tenants and private sector landlords in all council tax bands to improve the energy efficiency of their homes and reduce their fuel bills. Why is the rebate value for solid wall insulation less than under the Green Homes Cashback scheme? Interest in this measure has been exceptionally high and so the new value will allow more householders to benefit from the available budget. This value is higher than is available under the GDHIF which operates in England and Wales. There has also been an interest free loan announced that will be available to help householder meet the balance of the costs. Why are there premiums available to properties in locations classed as ‘remote rural’? One of the issues highlighted under the previous schemes was that households in more remote areas of the Scotland faced greater challenges in finding installers and then completing work within the designated time period. To ensure they are not at a disadvantage under HEEPS: Cashback, households that are classified as being in the most remote areas of Scotland are being offered some additional funding and more time to find a Green Deal assessor, Green Deal certified installer, and complete their work and return their voucher.